Nova Southeastern University commissioned Dale Chihuly to create one of his masterpiece installations inside the Alvin Sherman Library on its main campus in Davie (one of only six blown-glass Chihuly installations in libraries worldwide). “The NSU Glass Garden” spans 18 feet in length with brilliantly-hued, glass-stretched blooms blossoming seven and a half feet in height. 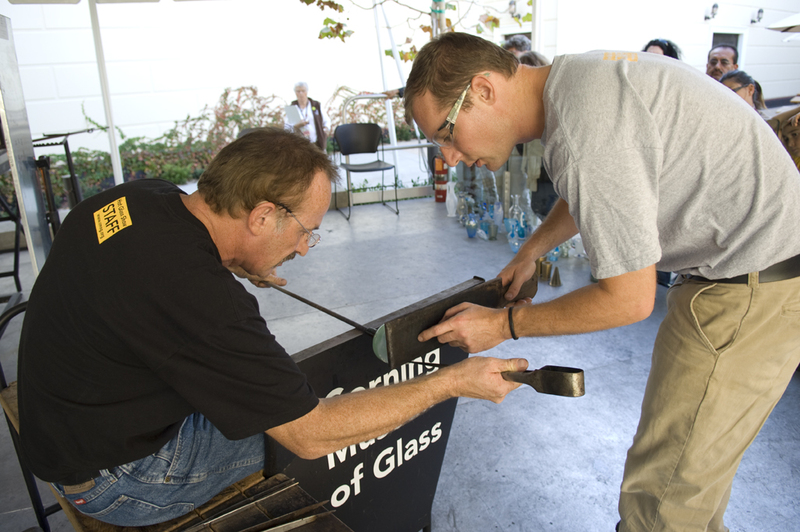 To commemorate the opening of the installation, the university invited the Hot Glass Show to its campus, to provide live demonstrations.